At approximately 5:07 this afternoon the decision was made to call in the remaining member of staff manning the One Cowboy Relay, following the invocation of rule 107.13a, whereby there is no further requirement to man the Finish when more than 12 hours has elapsed following the last recorded finish. At approximately 5:08 search parties were dispatched to look for, round up, and herd back any remaining participants who were in the erroneous belief the race was still in progress, and at approximately 5:11 all search parties were back and reported there were no remaining participants to be found hiding in the sage. The mandatory "more cowbell" cowbell was sounded and the race was declared over. I was 91:28 according to garmin. I downloaded and turned in my punch card, so not sure. Julie L, was right behind me as well. Here are final results, with times adjusted by recorded downloaded time, and MIclimber's accepted time. Congratulations to all who finished. I don't know,,.Steve is looking a little sluggish there, maybe all the sage and bitterbrush exacted their toll. On the other hand, he is ahead of that string of runners behind him, illustrating how pictures can be deceptive. And just look at those skies! They're never that beautiful. Sorry I missed it. 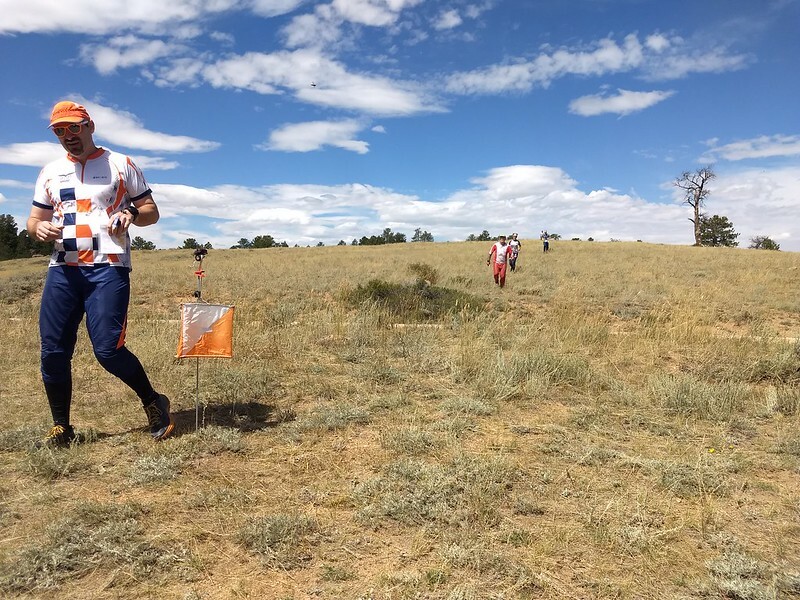 The Yukon NAOC and RMOF were a tour de force for western orienteering.